Tough and durable Bushwacker Fender Flares for your truck! - Ford F150 Forums - Ford F-Series Truck Community. Adding style, protection and extra tire coverage to your truck has never been easier! Bushwacker fender flares provide it all and transform the look of your ride in minutes! Available in different styles, finishes and sizes, they install in minutes using factory holes, made of Dura-Flex material for maximum durability and flexibility, 100% UV Protected and can be painted to match the bodycolor of your truck. Don't waste your time and purchase a set now! 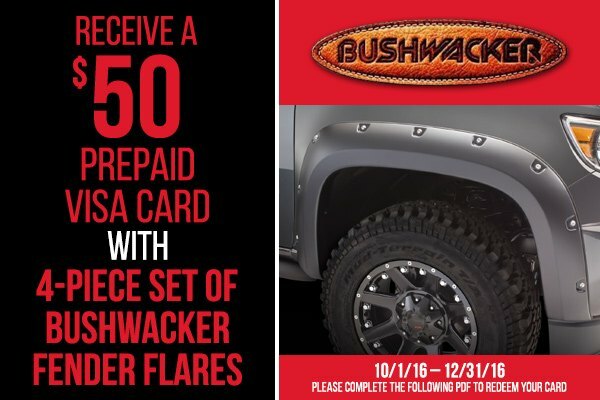 Receive a $ 50.00 Prepaid Visa Card with purchasing 4-Piece set of Bushwacker Fender Flares. This offer is valid through the end of the year, till December 31, 2016. 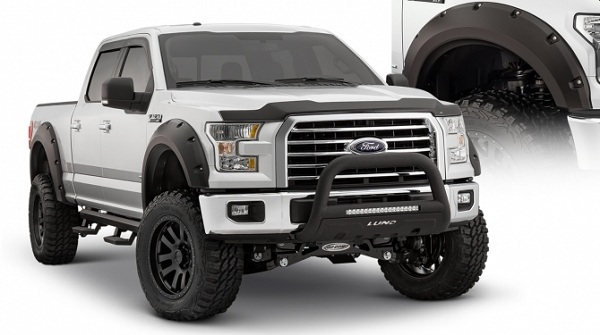 Quick Reply: Tough and durable Bushwacker Fender Flares for your truck!